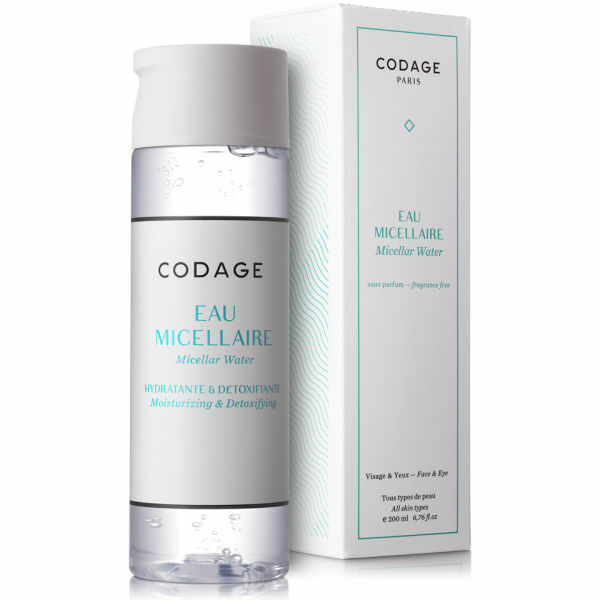 Meticulously formulated with French pharmaceutical expertise, CODAGE Micellar Water is a multi-tasking treatment that works to cleanse, remove makeup and moisturise simultaneously for soft and purified skin. 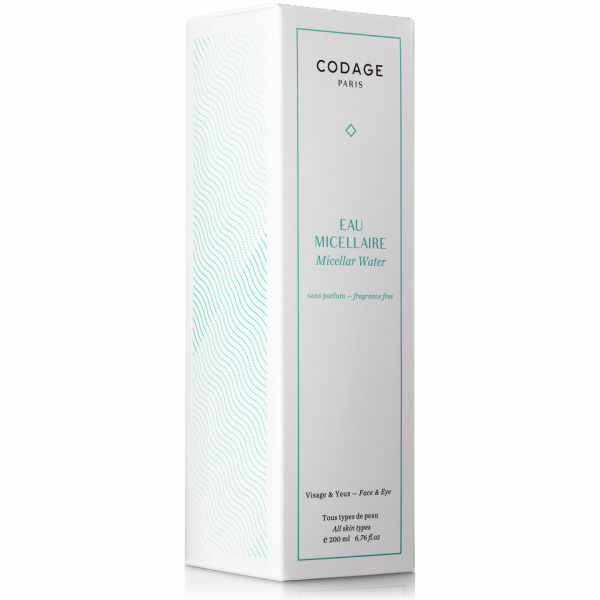 Deeply moisturising and fortified with detoxifying properties, the cleanser is gentle enough for around the eyes and lips and stimulates skin regeneration whilst fighting pollution and imperfections. Suitable for all skin types, including those with dry, or sensitive skin. - K.N. 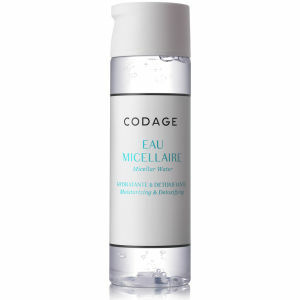 Apply with a cotton pad morning and evening to cleanse and remove make-up. 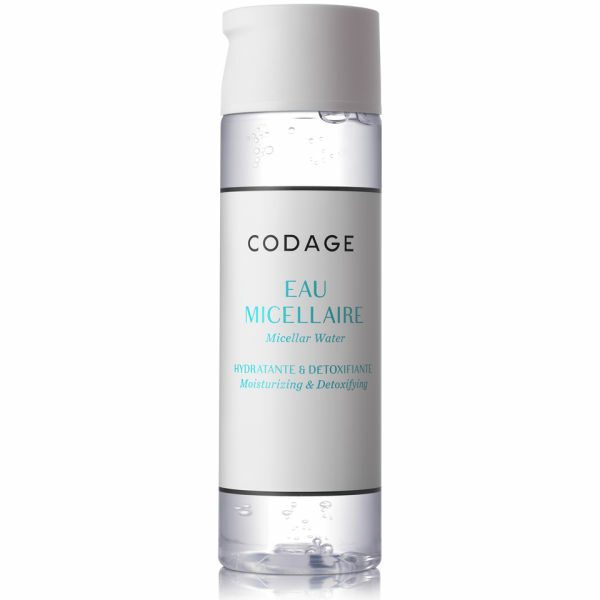 Gently remove eye makeup first then cleanse the face from the centre outwards. Repeat until cotton pad is clean. Aqua (water), PEG-7 glyceryl cocoate, Albizia julibrissin bark extract, Biosaccharide gum-4, acetyl hexapeptide-37, glycerin, capryloyl glycine, caprylyl/capryl glucoside, sodium chloride, butylene glycol, benzyl alcohol, sodium hydroxide, phenoxyethanol, ethyl lauroyl arginate HCl, cinnamic acid, sodium benzoate.